As a business owner, naturally you want to protect your company finances. Certainly, you have seen many stories about hacking, fraud, and other risks to your company’s money. You know you face risks to your funds both from the inside and the outside of your business. 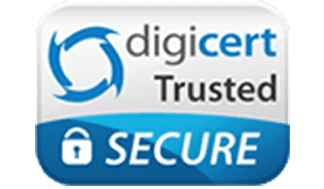 The good news is that a reloadable company card might be one of the safest and most convenient ways to protect employee expense money from all sorts of threats. How can reloadable company cards protect your company? Sadly, some of the biggest threats to company funds come from the inside. For example the Minnesota Society of CPAs reported that average companies lost as much as $30,000 each year to padded expense reports. A Ponemon Institute study found that over 20 percent of security breaches occurred because of intentional employee actions, and many more occurred because of unintentional employee actions. What if you had a way to manage employee expenses with a tool that could prevent employees from accidentally or intentionally misusing your money or leaving it vulnerable? Consider how a reloadable company card that has been designed for small businesses works. You obtain one of these cards in the name of each employee who has to make purchases, so these employees are accountable for its use. You can use an app to apply a setting to each card that specifies purchase limits and categories of purchases that are valid for the card. If the card ever gets declined for making the wrong purchases or exceeding limits, you will see a report. You also see a report of all spending. You can deactivate or activate the card with your app in an instant if the card gets lost, stolen, abused, or for any other reason. Employees only have access to their own card and not your business checking accounts. As you can see, a reloadable company card gives you a great way to prevent intentional or unintentional abuse. If you only allow your techs to buy gas and supplies, they can’t use the card to buy meals or entertainment. If the card gets stolen, a thief can’t use it for malicious purposes either. Also, you can deactivate the card as soon as your employee reports its loss or you see suspicious activity. This way, you can help protect both your company and your employees. Reloadable business cards offer you a great tool to help keep track of spending and to stop many problems before they ever happen. How Does Bento Keep Your Company’s Money Secure? With Bento for Business Visa debit cards, your company can also enjoy an extra measure of security. Bento uses high-tech encryption and security to keep transfers and accounts safe. In addition, your funding account is protected by FDIC insurance. Learn more about the reloadable business card alternatives from Bento here. 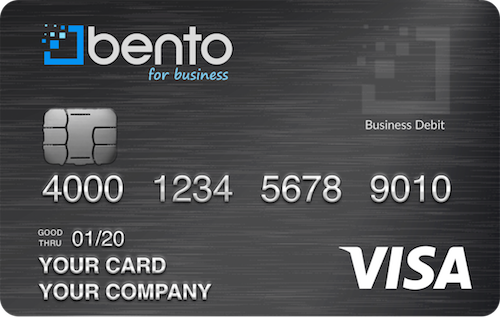 After that, give Bento for Business Visa debit cards a spin with a free 60 day trial or call us at 866.220.8455. You can protect your expense money, your employees and your business.